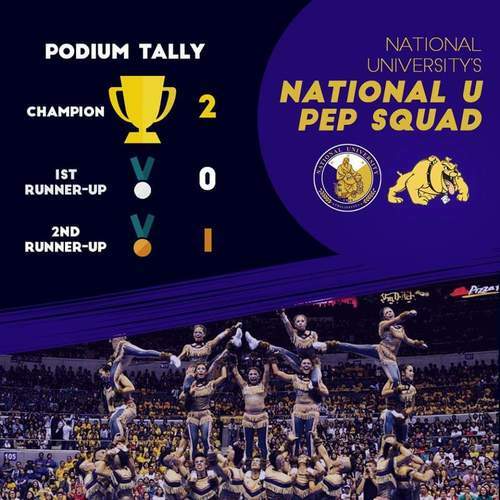 Which university's cheerdance squad will dominate this year? 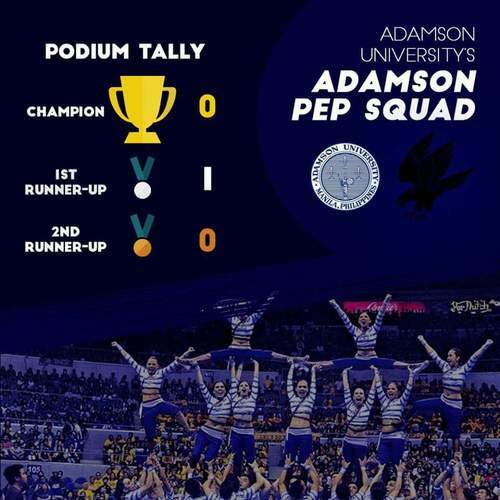 The Adamson Pep Squad will take the floor next. UE wraps up its carnival-themed performance. 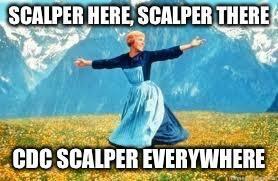 It's the Red Warriors turn now! University of the East is next on the floor. NU Pep Squad now on the floor. 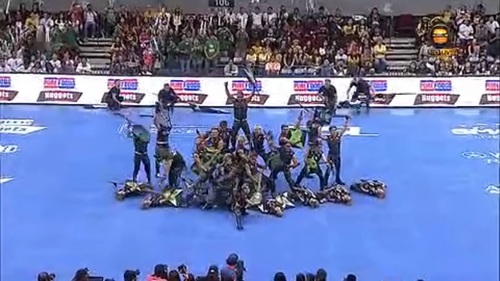 Defending champion NU Pep Squad will perform next with a "caveman" theme. 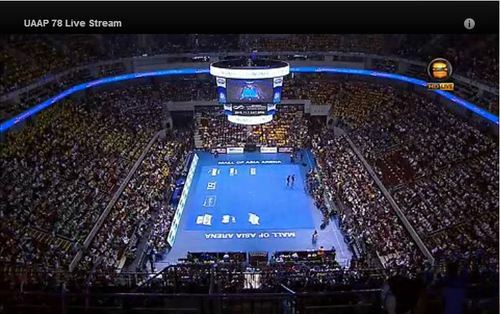 That ADMU BBB performance though. The Ateneo Blue Babble Battalion starts their routine to the tune of James Bond's theme. 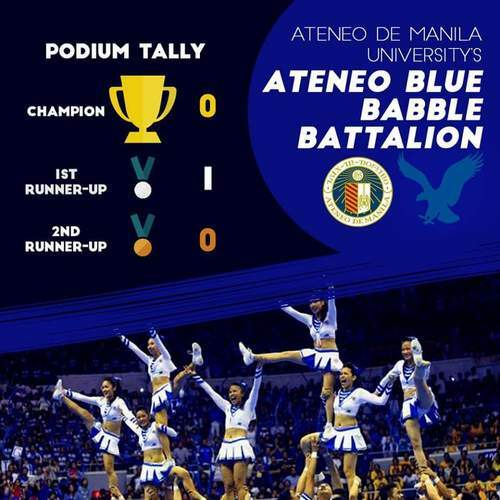 The Ateneo Blue Babble Battalion will peform next. 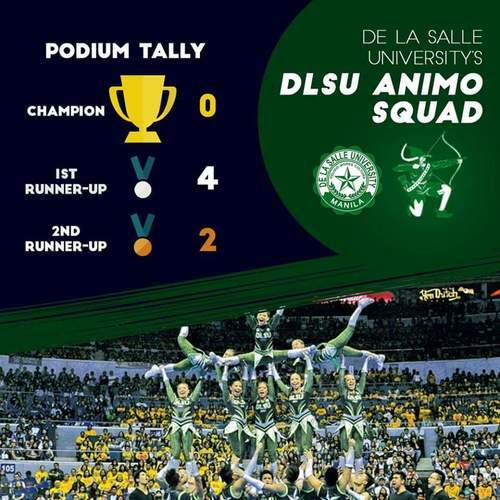 The DLSU Animo Squad performs next. 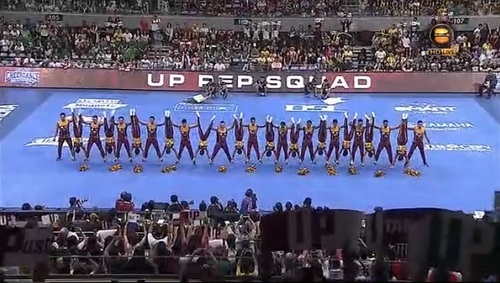 The UP Pep Squad forms a heart as their final pose. 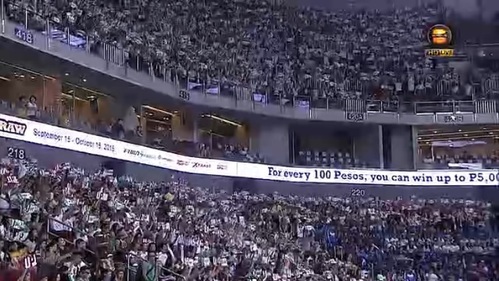 Napa UP NAMING MAHAL din ba kayo? 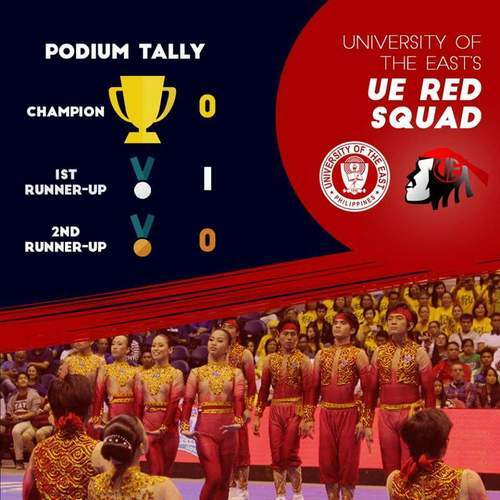 This year, the UP Pep Squad bears the theme "Utak at Puso." The UP Pep Squad takes the floor to start the competition. There will be 2 sets of judges to score the cheer and dance portion separately. Actress Sofia Andres is the co-host of Boom Gonzales for this year's UAAP Cheerdance Competition. 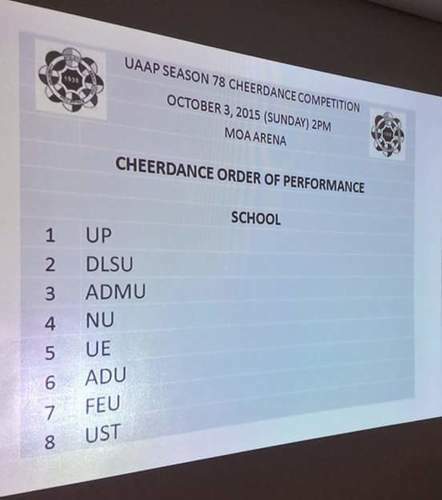 The UP Pep Squad will be the first to perform. 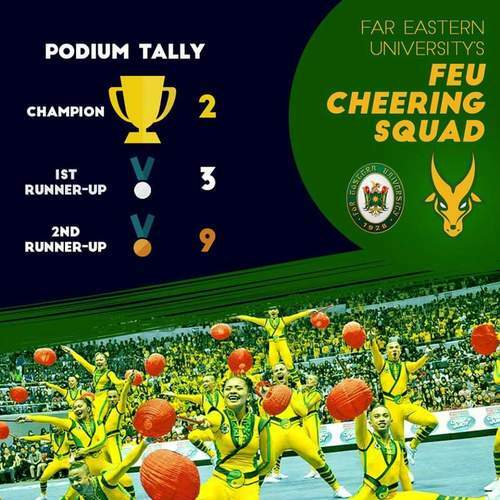 FEU courtside reporter: Ngayong taon, susuwagin namin kayo ng aming sungay! NU courtside reporter Mary Angelique Manto: Papayag ba tayo na iba na ang mag-uuwi ng korona ngayong taon? Courtside reporter Laura Lehmann: Mga Atenista, ito talaga ang taon natin! 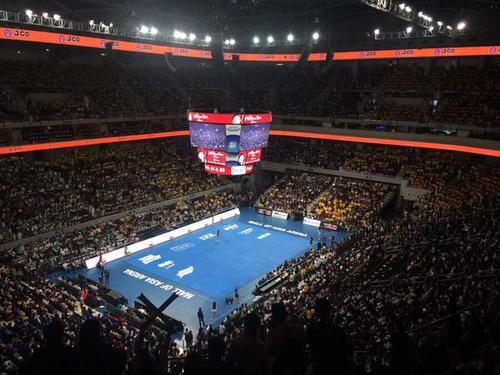 UP courtside reporter Nina Alvia to UP crowd: Are you ready to win again this season? Admin Maddox says- "I saw AdU Pep's routine early this week. Nice concept and well incorporated into the routine! 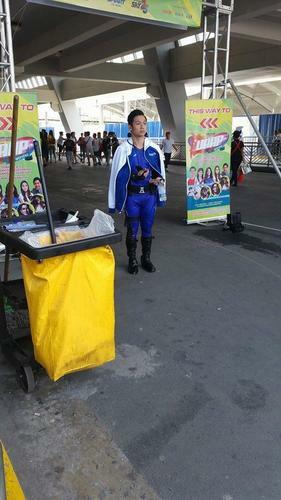 Ang fab ng kinalabasan." 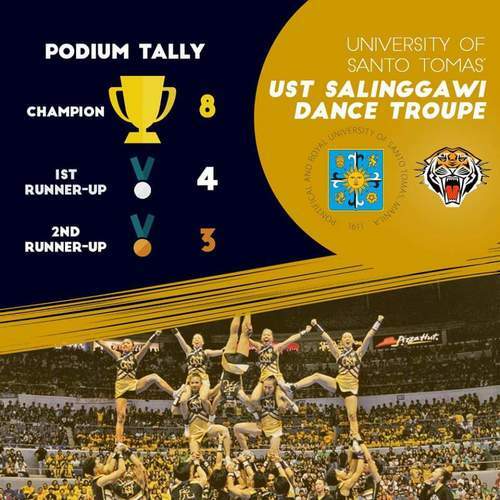 Member schools of the University Athletic Association of the Philippines are now gearing up for the annual cheerdance competition at the Mall of Asia Arena on Saturday.